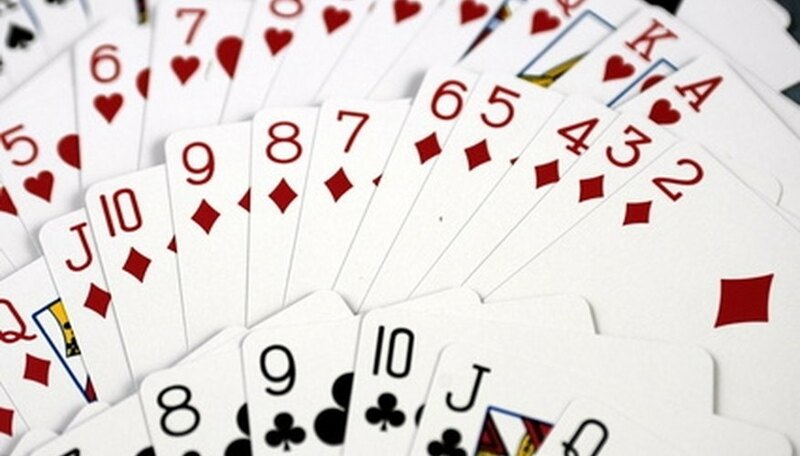 Pitch is a card game in which players compete for the four points available in each hand. It is a trick-taking game that can be played individually or in teams. Pitch can be played by two or three individuals or by two pairs of players. Players get six cards each, then compete in a round of bidding to determine who will name trump. Players may choose the first dealer by drawing cards, with the player drawing the highest card being the dealer, or choose a dealer at random. The deal passes to the left for each hand. Each player gets one bid, starting with the player to the left of the dealer. A player may pass or bid as many as four points.The highest bidder names trumps. Points are based on cards won during the six tricks of a hand. The highest and lowest trumps in play are worth one point each, but since not all the cards in the deck are in play in a hand, nobody knows which are the highest and lowest trump cards until the end of the round. The other points are for taking a trick that included the jack of trump and for getting the highest score at the end of the hand. This score is figured by counting 10s as 10 points, aces four points, kings three points, queens two points and jacks one point. If two or more players tie, no high score point is given. The winner of the bid leads for the first hand and must play a trump. After that, the winner of the trick can lead any card. You have to follow suit, except that you can play trumps at any time, even if a suit other than trump is led. Tricks are won by the highest trump card. If no trump card is played, the highest card from the suit that was led wins the trick. At the end of the hand, if the dealer won as many points as she bid, she adds one point to her total for each point. If she didn't, her bid amount is deducted from her score. All non-bidding players are awarded any points they won during the hand. In team play, partners combine points for a team score. The game of Pitch ends when one player or team reaches 11 points. If there is a tie, the team or player that was the bidder on the last hand is the winner. Another round can be played in singles play if none of the players who scored 11 was the bidder.